Managed Care NewsWeb - Specialized business information for health care managers. Mascagni's Anatomia Universa - Paolo Mascagni's Anatomia Universa consists of 88 plates. Forty-four are hand-colored lithographs of anatomical preparations and 44 are outline plates containing nomenclature for identifying the anatomical parts in an accompanying volume of text. The Anatomia Universa is a comprehensive work of anatomy lacking only microscopic anatomy, histology, and the lymphatics of the skin. The beautifully executed plates depict the anatomical and skeletal structure of the human body in great detail. Mayo Clinic - Mayo Clinic health information. Also see Diseases, Treatments and Services. MD Consult - Provides access to full-text articles from over 80 medical journals and clinics, 50 leading medical references across a wide range of specialties, clinically relevant drug information, and over 10,000 patient handouts. MDLinx - A network of nearly 40 specialty Web sites for physicians and healthcare professionals. Provides physicians with comprehensive one-stop sites in their specialties delivering the focused information they need to stay current and deliver better care. 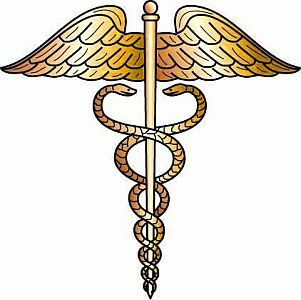 Med Terms - The medical reference for MedicineNet.com. Over 16,000 medical terms. Medic8 - Medical portal and search engine. MedAssets - E-commerce procurement of used medical equipment, medical supplies, parts. Medical Heritage Library - A digital curation collaborative among some of the world's leading medical libraries. MedCenterCity - News, information and services for health care materials managers, purchasing agents, hospital pharmacists, and more. Medcyclopedia - A unique combination of a scientific library and a handy toolbox on the internet. In addition to the complete on-line edition of The Encyclopaedia of Medical Imaging, which comprises more than 18,000 thoroughly explained key words accompanied by more than 10,000 illustrations, this web site holds complete medical imaging text books, GE Healthcare's Expanded Medical Imaging Glossary, clinical cases for training purposes, as well as content from other highly reputed sources. Medical and Medical Scientific Conferences Worldwide - Medicine and medical science worldwide conferences calendar. Medical Board of California - State agency that licenses medical doctors, investigates complaints, and disciplines those who violate the law in California. Medical Coding Data - Free medical coding reference site. Find all ICD-9-CM, ICD-10-CM, ICD-10-PCS and HCPCS codes. The integrated search engine and drill-down navigation makes it easy to quickly find the codes you need. Medical Cost Lookup - This medical cost estimator lets you estimate the cost of thousands of medical procedures - and in your zip code. Medical Design - Technical information about the medical device engineering industry. Medical Dictionary - Provided by MedlinePlus. Medical Humanities: Literature, Arts, and Medicine Database - Annotated bibliography of prose, poetry, film and art developed as a dynamic, accessible, comprehensive resource in medical humanities. Medical Matrix - Clinical medicine resources. Medical Schools - World Health Organization's world directory of medical schools. Medical Tourism - A source of information for patients on quality and affordable medical options beyond the borders, raise people's awareness about the abundance of choices they have and offer alternatives where local health care fails to satisfy patient's needs. MedicineNet - U.S. board-certified physician writers and scientists provide medical information. MediLexicon - Contains searches, information, news and resources for the medical, pharmaceutical and healthcare professional. MEDLINE Databases - MEDLINE is the National Library of Medicine's premier bibliographic database covering the fields of medicine, nursing, dentistry, veterinary medicine, the health care system, and the preclinical sciences. Medpedia - Website for a "project to evolve a new model for sharing and advancing knowledge about health, medicine and the body among medical professionals and the general public." Features articles about health conditions and issues. All contributors are either physicians or have Ph.D.s in a health science. Provided in association with the Harvard Medical School; Stanford School of Medicine; University of California, Berkeley, School of Public Health; University of Michigan Medical School; and others. MedTerms - Entries include standard medical terms and pertinent scientific items, abbreviations, acronyms, jargon, institutions, projects, symptoms, syndromes, eponyms, medical history related to medicine and the biomedical sciences. Midwives Information and Resource Service (MIDIRS) - Disseminates childbirth information to midwives and others, both nationally and internationally, assisting them to improve maternity care. Military Medicine - U.S. Army and Navy doctrinal and instructional manuals. Morbidity and Mortality Weekly Report (MMWR) - Prepared by the U.S. Centers for Disease Control and Prevention (CDC), the agency's primary vehicle for scientific publication of public health information and recommendations. Mosby's Nursing Suite - A vast array of information for nursing staff. Muslim Health Network - Established to promote, preserve, and protect health and health education amongst Muslim Communities in the UK. myOptumHealth- Covers a broad spectrum of health and wellness topics for people at all stages of life with a focus on health maintenance and disease prevention. National Center for Complimentary and Alternative Medicine (NCCAM) - The National Institutes of Health (NIH), NCCAM conducts and supports basic and applied research and training and disseminates information on complementary and alternative medicine to practitioners and the public. National Center for Research Resources - A component of the National Institutes of Health, NCRR supports primary research to create and develop critical resources, models, and technologies. NCRR funding also provides biomedical researchers with access to biomedical technology resource centers; general clinical research centers; clinical-grade gene vectors; human tissues, organs, and islet cells; vertebrate and invertebrate animal models and stocks; biological materials; comparative medicine information sources; and genetic and genomic resources. National Guideline Clearinghouse (NGC) - A public resource for evidence-based clinical practice guidelines. National Immunization Program (NIP) - NIP provides leadership for the planning, coordination, and conduct of immunization activities nationwide in the U.S.
National Institute for Occupational Safety and Health (NIOSH) - NIOSH is part of the Centers for Disease Control and Prevention (CDC) and is the only federal institute responsible for conducting research and making recommendations for the prevention of work-related illnesses and injuries. National Institutes of Health (NIH) - The NIH is one of eight health agencies of the Public Health Services which, in turn, is part of the U.S. Department of Health and Human Services. The NIH comprises 25 separate Institutes and Centers. The NIH mission is to uncover new knowledge that will lead to better health for everyone. NIH works toward that mission by: conducting research in its own laboratories; supporting the research of non-Federal scientists in universities, medical schools, hospitals, and research institutions throughout the country and abroad. National Network of Libraries of Medicine (U.S.) - Seeks to advance the progress of medicine and improve the public health by: 1) providing all U.S. health professionals with equal access to biomedical information; and, 2) improving the public's access to information to enable them to make informed decisions about their health. The Program is coordinated by the National Library of Medicine. NLM Classification - Classification scheme covering the field of medicine and related sciences. National Longitudinal Mortality Study (NLMS) - The NLMS is a national, longitudinal, mortality study sponsored by the National Cancer Institute, the National Heart, Lung, and Blood Institute, the National Institute on Aging, the National Center for Health Statistics and the U.S. Census Bureau for the purpose of studying the effects of differentials in demographic and socio-economic characteristics on mortality. National Provider Identifier (NPI) Number - The NPI is a unique identification number for covered health care providers (doctors, dentists, chiropractors, nurses and other medical staff). The NPI is a 10-digit, intelligence-free numeric identifier. This means that the numbers do not carry other information about healthcare providers, such as the state in which they live or their medical specialty. The NPI must be used in lieu of legacy provider identifiers in the HIPAA standards transactions. Covered health care providers and all health plans and health care clearing houses must use the NPIs in the administrative and financial transactions adopted under HIPAA (Health Insurance Portability and Accountability Act). Navy Medical Research Center - Basic and applied research on infectious diseases, tissue transplantation, diving and hyperbaric medicine, casualty care, and environmental medicine and human factors which are directly related to military requirements and operational needs. NetDoctor.co.uk - UK's largest independent medical information service on the net. It includes facts about diseases, health and medicine, written by leading doctors. New York State Physician Profile - Profiles for all licensed medicine and doctors of osteopathy registered to practice medicine in New York State. New York Times: Health - Health news and resources. OmniMedicalSearch - A metasearch engine for medical information. Open Payments - Sometimes, doctors and hospitals have financial relationships with health care manufacturing companies. These relationships can include money for research activities, gifts, speaking fees, meals, or travel. The Social Security Act requires CMS to collect information from applicable manufacturers and group purchasing organizations (GPOs) in order to report information about their financial relationships with physicians and hospitals. Open Payments is the federally run program that collects the information about these financial relationships and makes it available to you. OrganDonor.gov - Information on organ and tissue donation and transplantation. Orthogate - facilitates access to orthopedic information using the Internet and strive to improve the quality of orthopedic information and musculoskeletal health on the Internet by providing a gateway. Maintained by the Internet Society of Orthopaedic Surgery and Trauma (I.S.O.S.T.). OrthoInfo - A trusted source of information about musculoskeletal conditions and injuries - how they are treated, as well as how they can be prevented. Its articles and videos are developed by orthopaedic surgeons who are members of the American Academy of Orthopaedic Surgeons. All of the content on our website is peer-reviewed by physician members of the OrthoInfo Editorial Board who are experts in their fields. Ovid - Full text journals, bibliographic databases and other medical resources. Parents Common Sense Encyclopedia - Provides short, easily understood answers to common questions that come up in my everyday pediatric practice. Partnership for Caring (PFC) - Organization dedicated to helping patients and their families with decisions about end-of-life medical care. Physician's Guide to the Internet - Physician Lifestyle, Clinical Practice, Postgraduate Education, New Physician, Keeping Current, Job Board and more. POPLINE - Reproductive health literature. Practice Management Information Corporation (PMIC) - Leading independent publisher and reseller of medical coding and compliance books, forms and software. Coding and compliance resources for the health care industry. Profiles in Science - Archival collections of prominent twentieth-century biomedical scientists. From the National Library of Medicine. PsyCom - Mental health advocacy and information. PubMed - Comprises more than 22 million citations for biomedical literature from MEDLINE, life science journals, and online books. Citations may include links to full-text content from PubMed Central and publisher web sites. PubMed Central - A free full-text archive of biomedical and life sciences journal literature at the U.S. National Institutes of Health's National Library of Medicine (NIH/NLM). PubMed Health - Specializes in reviews of clinical effectiveness research, with easy-to-read summaries for consumers as well as full technical reports. Questionable Cancer Therapies - The American Cancer Society (ACS) has defined questionable methods as lifestyle practices, clinical tests, or therapeutic modalities that are promoted for general use for the prevention, diagnosis, or treatment of cancer and which are, on the basis of careful review by scientists and/or clinicians, deemed to have no real evidence of value . Under the rules of science (and federal law), proponents who make health claims bear the burden of proof. It is their responsibility to conduct suitable studies and report them in sufficient detail to permit evaluation and confirmation by others. The ACS evaluates cancer methods by asking three questions: 1) Has the method been objectively demonstrated in the peer-reviewed scientific literature to be effective? 2) Has the method shown potential for benefit that clearly exceeds the potential for harm? 3) Have objective studies been correctly conducted under appropriate peer review to answer these questions? Questions to Ask Your Doctor Before You Have Surgery - Questions to ask your doctor before elective non-emergency surgeries. Download Having Surgery? What You Need to Know. Reports of the Surgeon General - Official reports, conference and workshop reports, and proceedings from the Office of the Surgeon General. Roche Diagnostics - Health information, diabetes testing, molecular diagnostics, PCR, patient monitoring, clinical laboratories. Rudd Center for Food Policy and Obesity - Seeks to improve the world's diet, prevent obesity, and reduce weight stigma by establishing creative connections between science and public policy, developing targeted research, and encouraging frank dialogue among key constituents. Salk Institute - Major areas of study are: molecular biology and genetics, neurosciences, and plant biology. Knowledge acquired in Salk laboratories provides new understanding and potential new therapies and treatments for a range of diseases-from cancer, AIDS and Alzheimer's disease, to cardiovascular disorders, anomalies of the brain and birth defects. Studies in plant biology at the Salk may one day help improve the quality and quantity of the world's food supply. Science Magazine's STKE (Signal Transduction) - Signal transduction (ST) is the study of how cells control their own and each others' behaviors through chemical signals. ST research is an intensely active field of biomedical research and is of interest to a broad array of scientists. Scripps Research Institute - One of the world's largest, private, non-profit research organizations. Stands at the forefront of basic biomedical science. The institute — located on campuses in La Jolla, California, and Jupiter, Florida — has become internationally recognized for its research into immunology, molecular and cellular biology, chemistry, neurosciences, autoimmune diseases, cardiovascular diseases, virology, and vaccine development. Particularly significant is the institute's study of the basic structure and design of biological molecules; in this arena TSRI is among a handful of the world's leading centers. SeniorAdvisor - Features trusted reviews and advice on local senior living communities, providing the information you need to make an informed decision. SeniorGuidance - Pprovides comprehensive resources on various senior living options, including: assisted living facilities, senior living communities, nursing homes, independent living communities, continuing care retirement communities (CCRC) and all other long term senior care options, including memory care such as Alzheimer's or Dementia. Seniors with Disabilities and the Newly Disabled - Extensive information and links to resources for the disabled. Sermo - Online community of physicians, where MDs nationwide discuss drugs and devices, exchange clinical insights and collaborate on difficult cases. Through Sermo's social media platform, you can tap into unsolicited, peer-to-peer dialog and engage MDs to gain market intelligence and increase brand awareness. Shoulder Tendinitis, Bursitis, and Impingement - Pinching or impingement of the rotator cuff tendons can lead to tendinitis. If there is prolonged impingement, the rotator cuff tendon cuff can actually tear. Shoulder bursa can become inflamed and painful as surrounding muscles move over them, causing bursitis. Symptoms of shoulder tendonitis and bursitis, such as pain, swelling, stiffness, and weakness can last for a few days, recur, or become chronic. Sickbay - Healthcare portal presents a wealth of rich content along with cost-saving products and services. Skin Cancer Facts for Your State - The EPA and U.S. Centers for Disease Control and Prevention have written these fact sheets to provide state-specific information about skin cancer incidence and prevention. Stanford University School of Medicine - A world-class training ground for future leaders in biomedical research and medical practice. State Health Facts Online - State-level data on demographics, health, and health policy, including health coverage, access, financing, and state legislation. Provided by the Henry J. Kaiser Family Foundation. State of Obesity: Better Policies for a Healthier America - Annual report about the seriousness of the obesity epidemic in the U.S., encouraging the creation of a national obesity prevention strategy and highlighting approaches for reversing the epidemic at state and local levels. A project of the Trust for America's Health and the Robert Wood Johnson Foundation. StayHealthy - Internet health and wellness resources. Student Doctor Network (SDN) - Independent volunteer resource providing information about the health profession for student doctors. Inside scoops from prehealth students, medical and dental students, and other students across the United States and internationally. SuperCoder - Online codes lookup for CPT, ICD 9 CM/ PCS, HCPCS and ICD 10 CM/ PCS codes in simple format with correct modifiers and cross reference. Sybertooth Guide to Dental Events - Guide to dental continuing education seminars, meetings, dental society annual sessions, and other events in dentistry. Textbooks of Military Medicine - A comprehensive, multivolume treatise on the art and science of military medicine. The series is designed to show how military medicine has built on the lessons learned in past wars and, based on this historical context, lays out the scientific and factual basis on which the practice of military medicine is grounded. THCME Medical Biochemistry Page - Medical biochemistry resources presented by Michael W. King, Ph.D, Terre Haute Center for Medical Education. Travelers' Health Yellow Book - The Yellow Book is published every two years by Centers for Disease Control and Prevention as a reference for those who advise international travelers of health risks. TrialsCentral - Free and confidential access to listing of clinical trials. TRIP Database - Searches over 70 sites of high-quality medical information. U.S. Department of Health and Human Services - U.S. government's principal agency for protecting the health of all Americans and providing essential human services, especially for those who are least able to help themselves. U.S. National Library of Medicine (NLM) - The world's largest biomedical library and creator of MEDLINE. UCLA Biomedical Library History & Special Collections for the Sciences - Various collections support the study of the history of medicine and biology. Collections consist of books, journals, manuscript, prints, portraits, and medical artifacts. University of California, Berkeley Public Health Library - The library's services and collections support the School of Public Health and its research units. University of Maryland Medical Center: Medical References - Includes more than 50,000 pages of medically-reviewed health content written in consumer-friendly language. Childhood Immunizations - Information from The Children's Hospital of Philadelphia. For Parents: Vaccines for Your Children - Information provided by Centers for Disease Control and Prevention (CDC). Immunization Action Coalition (IAC) - Premier source, in U.S., of childhood, adolescent, and adult immunization information for healthcare professionals. VeryWell - Medical and health-related articles written by doctors, therapists, nurses, and other experts, and vetted for accuracy by board-certified physicians. Virtual Autopsy - You are the pathologist, presented with 18 different case studies including symptoms, examination and test results, progression of the case and an "interactive cadaver." Virtual Medical Centre (VMC) - Australian medical information website. Delivers medical information written by medical professionals. Virtual Naval Hospital - A digital library of military medicine and naval medicine and humanitarian medicine and disaster medicine. Visible Human Project - The National Library of Medicine maintains complete, anatomically detailed, three-dimensional representations of the normal male and female human bodies at this site. WebMD - End-to-end Internet healthcare company connecting physicians and consumers to the entire healthcare industry - from patients to physicians to hospitals to insurers to employers and all other healthcare organizations. Also see WebMD Symptom Checker. Wellcome Library - Collections of books, manuscripts, archives, films and pictures on the history of medicine from the earliest times to the present day. One of the world's major resources for the study of medical history. Also provides a growing collection of material relating to contemporary medicine and biomedical science in society. Also see Wellcome Collection and Wellcome Images. Wheeless' Textbook of Orthopaedics - Each topic is fully searchable by alphabetical, anatomical and keyword searches, or just click on a particular part of the skeleton for easy access. Wheeless' Textbook of Orthopaedics is updated daily. Maintained by the Duke University Medical Center's Division of Orthopaedic Surgery. Who Named It [whoamedit.com] - A biographical dictionary of medical eponyms. It's ambition is to present a complete survey of all medical phenomena named for a person, with a biography of that person - eventually including more than 15.000 eponyms and more than 6.000 persons. WISQARS - Web-based Injury Statistics Query and Reporting System (WISQARS) is an interactive system that provides customized injury-related mortality data useful for research and for making informed public health decisions. Women's Health Specialists - Provides women with the tools to evaluate their authentic health care needs. Visit its Health Information pages. World Health Organization (WHO) - WHO is the directing and coordinating authority for health within the United Nations system. It is responsible for providing leadership on global health matters, shaping the health research agenda, setting norms and standards, articulating evidence-based policy options, providing technical support to countries and monitoring and assessing health trends. Also see WHO's International Clinical Trials Registry Platform Search Portal. World Health Report - Prepared each year by the World Health Organization (WHO). World Medical Leaders - Subscription-based medical education site. WorldWide Antimalarial Resistance Network (WWARN) - Serves the global malaria community through the provision of high quality data resources, a collection of research tools and a global forum for exchange of scientific and public health information on matters relating to antimalarial drug resistance. Your Own Health and Fitness - An independent voice on the politics and practice of health. Layna Berman is a health integration specialist and independent scholar. She is best known as the originator and host of the Your Own Health And Fitness radio series that broadcasts each Tuesday at 1pm PT on KPFA 94.1FM Berkeley, CA. Jeffry Fawcett, PhD is a writer and independent scholar. He co-produces the Your Own Health And Fitness to which he regularly contributes commentaries on current health news and politics-commentaries that are distributed on the Pacific Radio Network as the Health Bites series. See Radio Show Archives and Blog. This webpage last updated on Wednesday, April 11, 2018 4:36 PM.